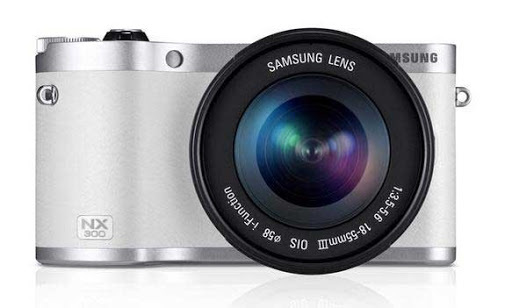 Samsung introduced at CES 2013 its new series of smart cameras to leave the world in thrilled. The company has not lagged behind and followed the tune of other companies which are also bringing cameras to the market, such as Sony, for example, showed the new Cyber-shot. The presented camera series called SMART CAMERA, Samsung, gained a sort of upgrade, so that the products displayed at the event are part of the new SMART CAMERA 2.0 series. The concept, according to the company, is not just a fancy name. According to Samsung, the cameras feature a completely new ecosystem, something that makes the photography even easier to shoot and share the images produced. Therefore, tools such as AutoShare and Direct Link were maintained. Altogether, Samsung has brought six new models with SMART CAMERA 2.0 features for CES 2013: WB250F, WB200F, WB800F, WB30F, DV150F and ST150F. Check out some information about the gadgets displayed. The intelligent models Hero from Samsung come in two configurations very similar to each other. Both have LCD touchscreen and five navigation keys, as well as being able to take pictures with a resolution of 14.2 megapixels through a lens of 24mm. The difference lies in the sensors. The WB200F uses CCD while the WB250F uses BSI CMOS. The cameras come in white, black cobalt and metallic red. The cameras will hit stores costing U.S. $249.90. The WB800F is the camera for anyone who wishes to use long-range zoom. The model takes pictures with a resolution of 16.3 megapixel BSI CMOS sensor and brings optical zoom up to 21x. The camera also has a 3-inch touch screen, and a button for Direct Link Tool (Wi-Fi). The model comes costing $299.99. Samsung WB30F is an evolution of the original ST200F. The camera brings as main innovation, the SMART feature Connectivity. It is able to take pictures with 16 megapixels of resolution and features 10x optical zoom, and a 24mm lens. Available in black, white, purple, pink and red, it will come to the market costing $179.99. The DV150F is the appropriate model for those who like to take self-portraits, since the camera has the Dual-view feature that brings two screens, a traditionally positioned at the back and another in front of the camera. This camera is able to take pictures with 16 megapixels of resolution and comes in black, white, purple and green for $149.99. The last new model of the SMART CAMERA 2.0 product series is the ST150F. The camera is capable of taking pictures with 16.2 megapixels and has 5x optical zoom. The 25mm lens ensures quality images and connectivity systems allow easy sharing of pictures. The model goes on sale in green, pink, lime, purple and silver and the price was not revealed. Samsung also introduced another camera packed with new features. The NX300 is the newest portable device capable of taking pictures and video in 3D. In addition to smart features like Wi-Fi and touch screen, the device brings impressive settings. Capable of producing images with up to 20.3 megapixels of resolution, it is capable of recording at 1080p maintaining incredible 60 frames per second. The price, as you might expect, is salty: $749. Besides the smart cameras, Samsung also brought some more traditional products for CES 2013. This, however, does not mean that resources of these products are poor or no has highlight. The WB2100, for example, brings 35x optical zoom and the Zoom Movie feature as well as resolution of 16 megapixels. The camera comes in black, white or red color and costs $329.99. Finally, Samsung ST72, the simplest model presented by the company. The camera does not bring the intelligent features as like the other cameras presented, but is able to take pictures with up to 16-megapixel resolution, and bring several useful tools such as Vivid Live Panorama Shot. It has 5x optical zoom. It’s small size allows it to be loaded into pocket easily and reduced price can also be a big draw: $119.99. It will hit the store in black, white, red and purple colors.